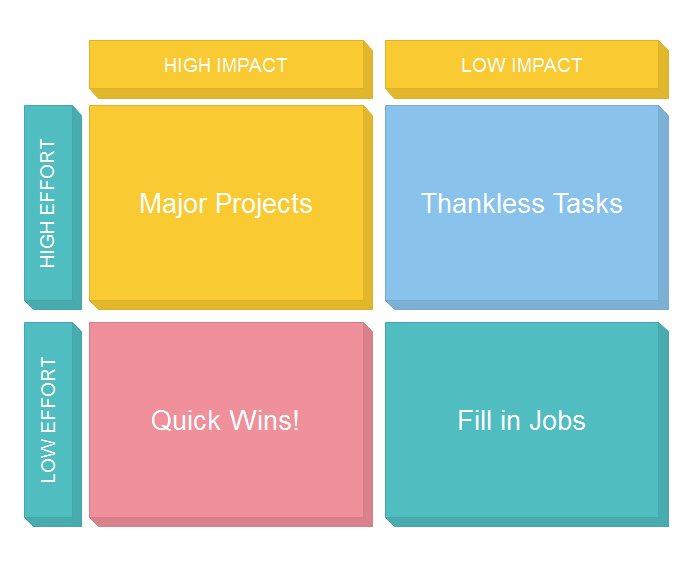 Impact effort matrix is used to help decision-making. Here are some good-looking impact effort matrix templates which are easily editable. 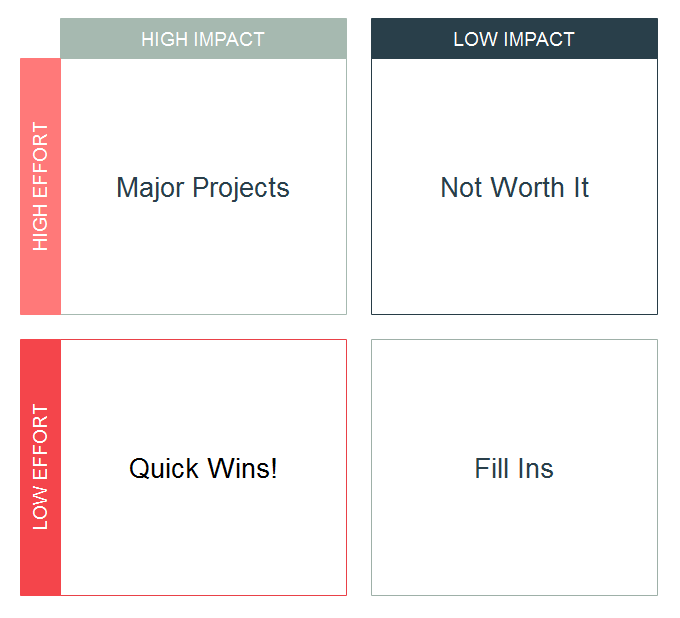 The impact effort matrix (also known as action priority matrix) is a decision-making tool that helps team quickly filter out solutions which are not worth doing, and pick out solutions that cost least effort yet get most impact. Below are some Impact Effort Matrix templates which you can modify and reuse. 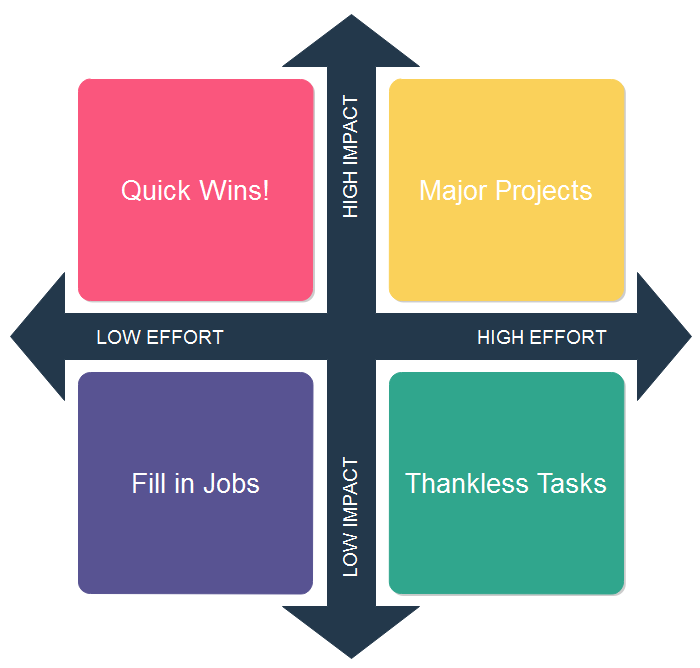 Impact effort matrix is an effective method for prioritizing tasks. Just like the matrix below, it lets you define a task according to the effort it will take and impact it will produce. With this process you can better decide what to do, and what not to do. You can click the image to download the original file of the template. It is fully editable with Edraw, and can be saved as Powerpoint, Word, PDF, and .PNG formats. Download Impact Effort Template 1. Here is another style of impact matrix template. If you like it, simply click the image to download. All text, colors and shape sizes can be changed. Download Effort Impact Template 2. If you love 3D style, you can use this template. Download Impact Effort Template 3.